Thousands of high school students participated in last spring’s Higher Education Week events. 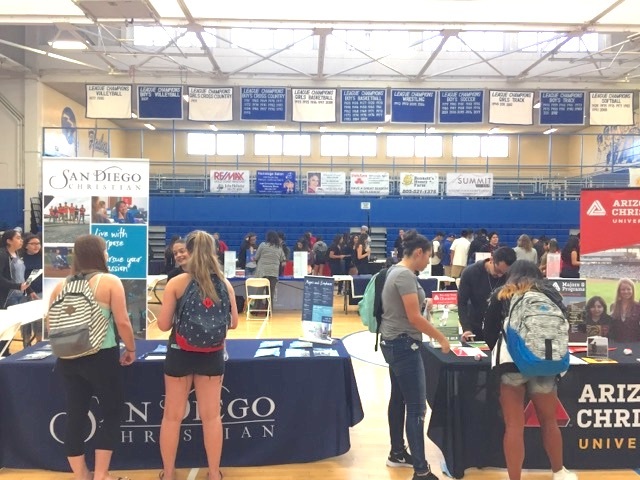 The Early Academic Outreach Program (EAOP) at UC Santa Barbara will hold its annual fall Higher Education Week, a four-day traveling college fair, beginning Tuesday, Oct. 2. 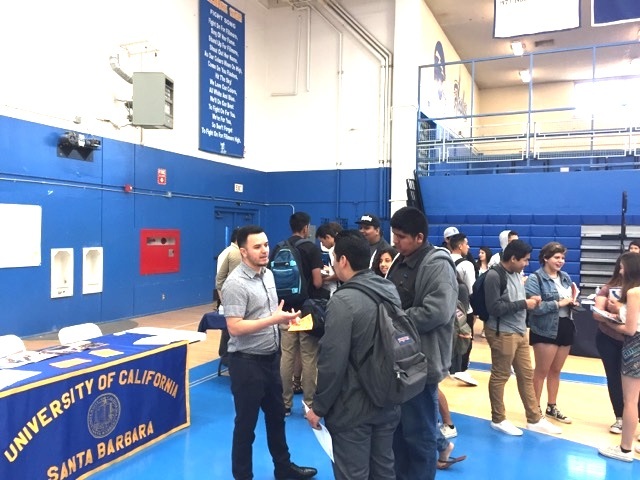 Representatives from universities, colleges and other institutions of higher education will visit high school campuses in Santa Barbara and Ventura counties to meet with high school seniors and discuss post-secondary education opportunities. The visits include brief presentations on financial aid and college admissions followed by college fairs. The first will take place at Pioneer Valley and Lompoc high schools Tuesday, Oct. 2. The event will move to Carpinteria and Rancho Campana high schools Wednesday, Oct. 3. 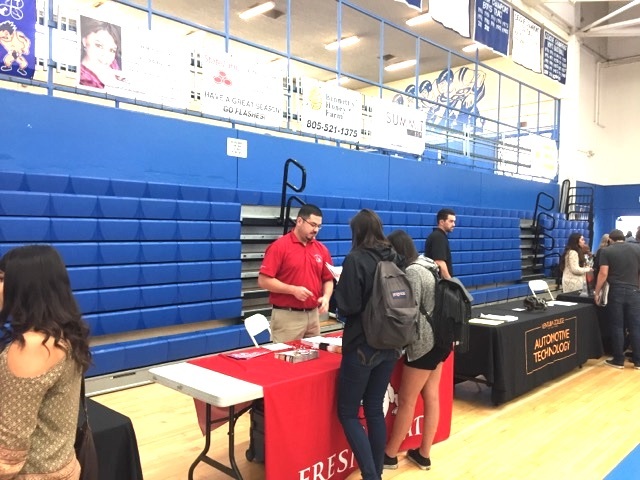 College fairs and presentations will be held at Rio Mesa, Pacifica and Hueneme high schools Thursday, Oct. 4, with a Parent Night at Santa Paula High School from 5 to 7 p.m. The week will conclude with visits to Fillmore, Santa Paula and Channel Islands high schools Friday, Oct. 5. 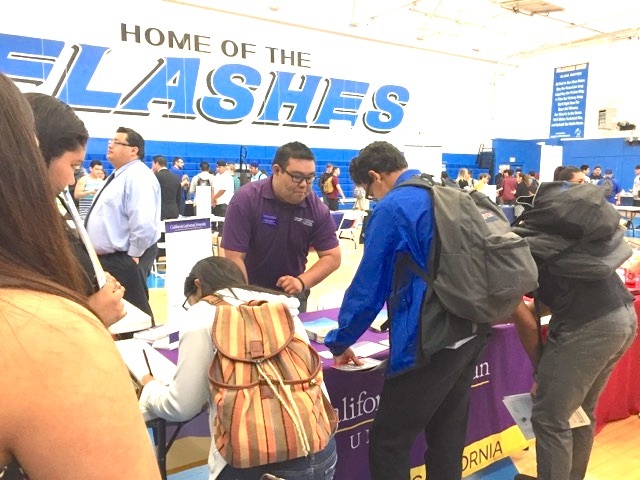 In all, more than 4,000 seniors from 12 high school will meet with representatives from the UC, California State and California Community College systems. A host of other private and public colleges and universities will be represented, including Westmont College and California Lutheran University, among others. Out-of-state colleges and universities represented include Syracuse University, the University of Idaho, the University of Alabama, Northern Arizona University, Southern Utah University, the University of New Mexico and Grand Canyon University. EAOP at UC Santa Barbara seeks to raise student achievement and close achievement gaps to increase the number of students who have the opportunity to attain a postsecondary education. EAOP focuses on four key strategies — academic advising, college knowledge, academic enrichment and entrance exam preparation — to help students reach college eligibility and participate in higher education. A variety of pre-college programs offered on an annual basis give students the opportunity to visit UCSB, tour campus labs, meet with faculty members and conduct research or participate in other academic enrichment activities. Among the programs and services are annual transcript evaluation, academic advisement, academic achiever’s receptions, study skills and testing strategies, college readiness seminars, the Education-Leadership-Careers Conference, UC Success Night and college readiness academies.